Day 43: 3 June. 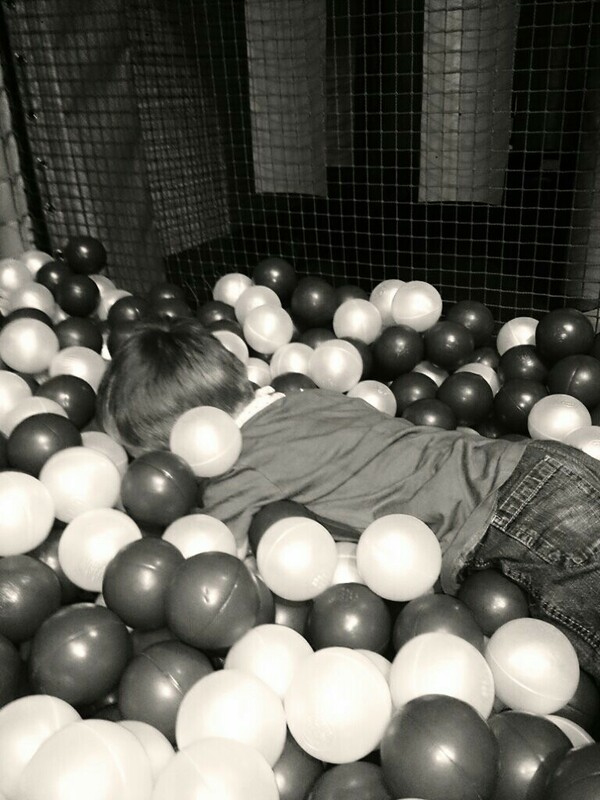 Sqk burying himself in balls at soft-play where we randomly met an adopter friend. Day 44: 4 June. One content Henry-cat enjoying some attention. Day 45: 5 June. 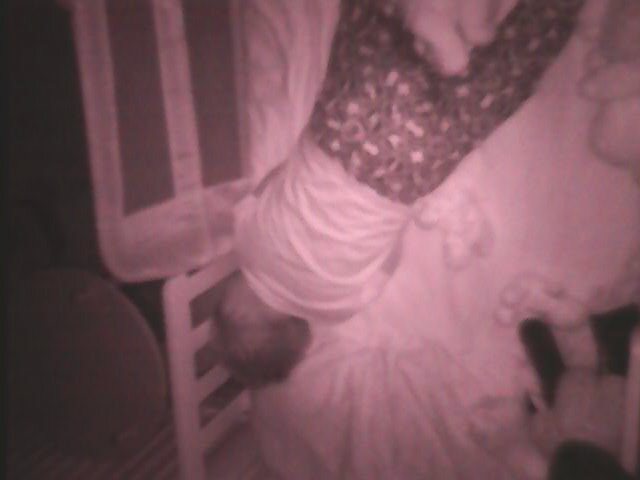 One little boy who went to bed & to sleep tonight rather than playing around. Day 46: 6 June. 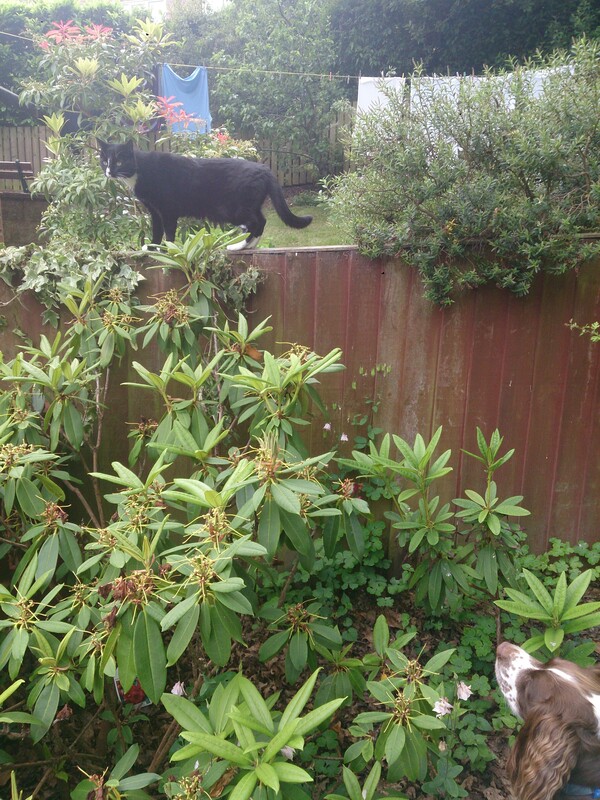 Henry-dog looking at Henry-cat. To Sqk’s delight we have Henry-dog staying with us. Day 47: 7 June. 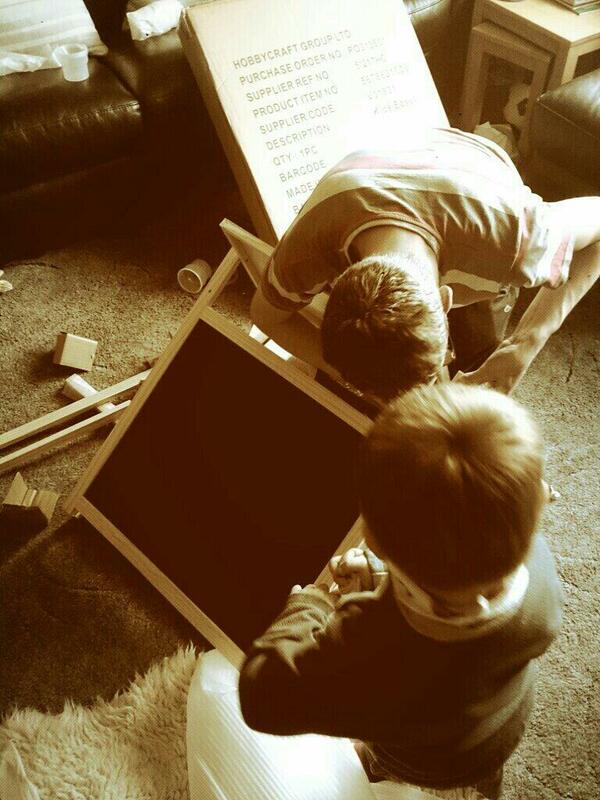 Sqk watching Daddy put an easel together. Day 48: 8 June. 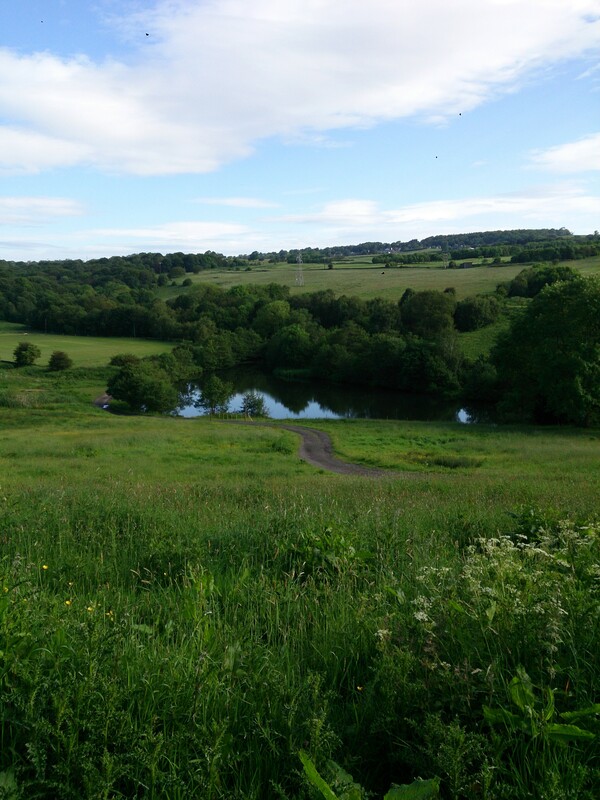 Lovely views on my morning walk with our visiting Henry-dog. Day 49: 9 June. 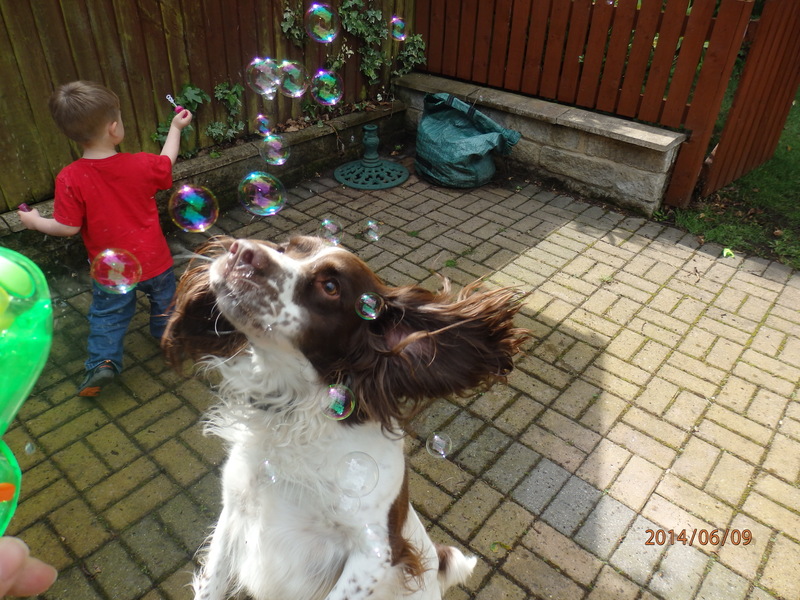 Sqk & Henry-dog playing with bubbles.